Want to download these images? Make sure you confirm usage rights with the BowerKit owner / contact person. 2018 ArchiTeam Award Winners announced! Last night over 200 attendees squeezed in to hear the annual ArchiTeam Awards announcement at 5 Easey Upstairs in Collingwood, Vic. 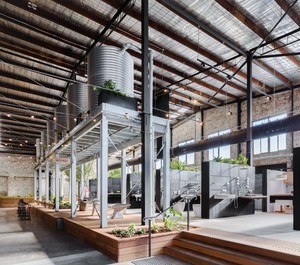 With 150 entries, it was the biggest ArchiTeam Awards to date, with many of the winning projects coming from outside of Victoria, showing the increased national reach ArchiTeam Cooperative has achieved in recent years. 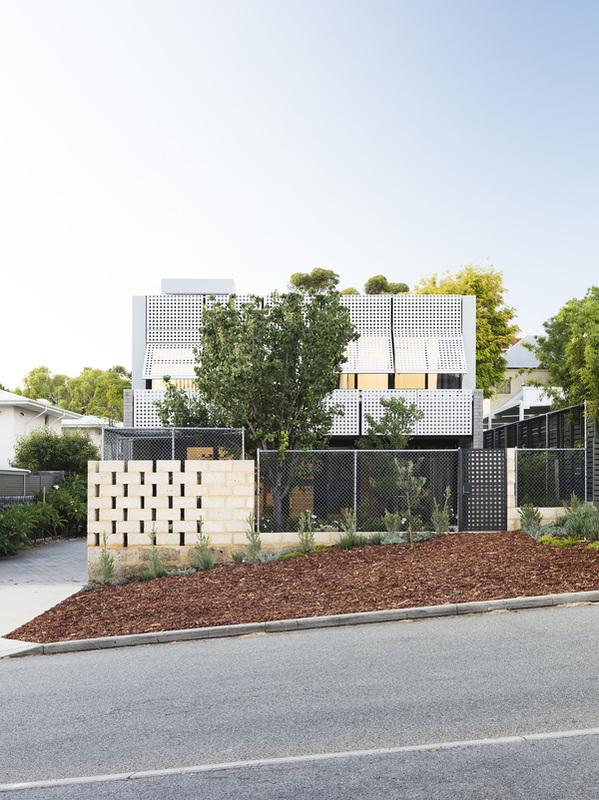 Type Street Apartment by Tsai Design took out the prestigious overall prize, the ArchiTeam Medal, as well as the Small Project Medal, and shared the Residential – Alterations & Additions Award with Green Shutter House by OOF! Architecture. 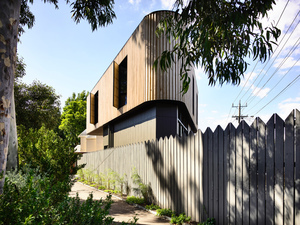 Commendations were presented to Tudor Revival by Warc Studio; Art House by Winwood Mckenzie Architecture; and Manly House I by EM Architects. The Residential New Award was won by Western Australian member Philip Stejskal Architecture for the Blinco Street House. Commendations were awarded to Triangle House by Molecule, and Coogee House II by Sydney member Madeleine Blanchfield Architects. Caroma on Collins by Archier won the Commercial Award. 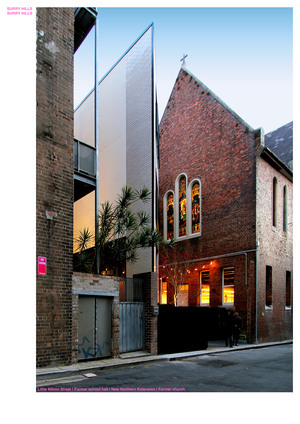 Surry Hills Surry Hills (Little Albion Guest House) by Sydney-based Terence Yong Architecture, Shed (Architecture) with Archemy, Space Control (Interior Design); and Polyglot by mcmahon and nerlich both received commendations. 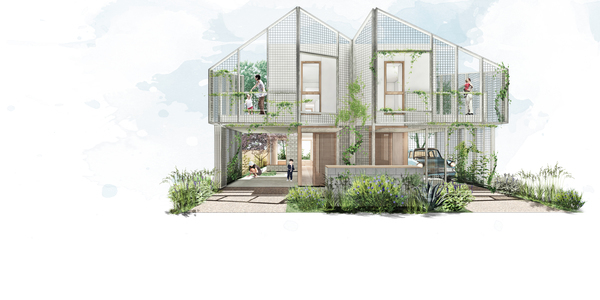 Sonelo design studio received a Commendation for their Warne Street Residences in the Unbuilt Award category. The Community Award was given to the Les Wilson Barramundi Discovery Centre by Queensland member bud brannigan architects. 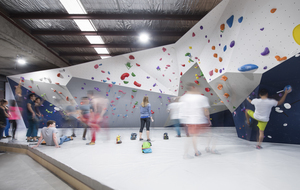 Commendations were awarded to Northside Boulders by Green Sheep Collective and Free to Feed by Circle Studio Architects. Commendations were jointly awarded to 4 entries in the Contribution and Innovation category - Accessibility in the Built Environment by Visionary; New Architects Melbourne (NAM) by New Architects Melbourne (NAM); Sydney Architecture Walks by Eoghan Lewis; and Our City Our Square campaign by Citizens for Melbourne – all contributed greatly to Australian Architecture in a variety of innovative ways. Our City Our Square campaign by the Citizens for Melbourne was additionally awarded the Sustainability Medal. Congratulations to all ArchiTeam members who were finalists, and to those who received commendations and awards. You can listen to some of the finalists speak about their projects on Friday 16 November, more information here. ArchiTeam would like to thank all the members who entered this year’s awards, and the sponsors and Judges who assisted us. Winners of this category have shown creativity and innovation, as well as working with the unique aspects of their site and budget. Past winners and commended entries have ranged from million-dollar new builds to modest buildings tackling challenging site constraints. Residential projects nurture families through different stages of life and create the backdrop for many enduring memories. Great design turn houses into homes and provide inhabitants with an adaptable, functional and inspiring space to call their own. 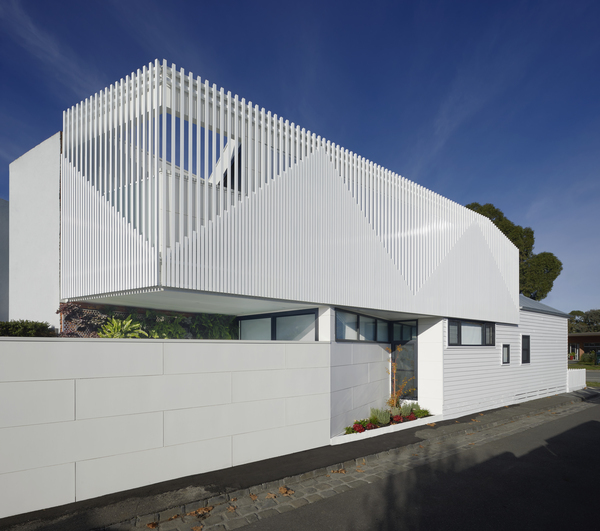 The Blinco Street House is a simple and unpretentious house, which rewards close consideration. The project thoughtfully explores the opportunities afforded by the particular domestic circumstances of the client who was a fly-in fly-out worker at the start of the project. 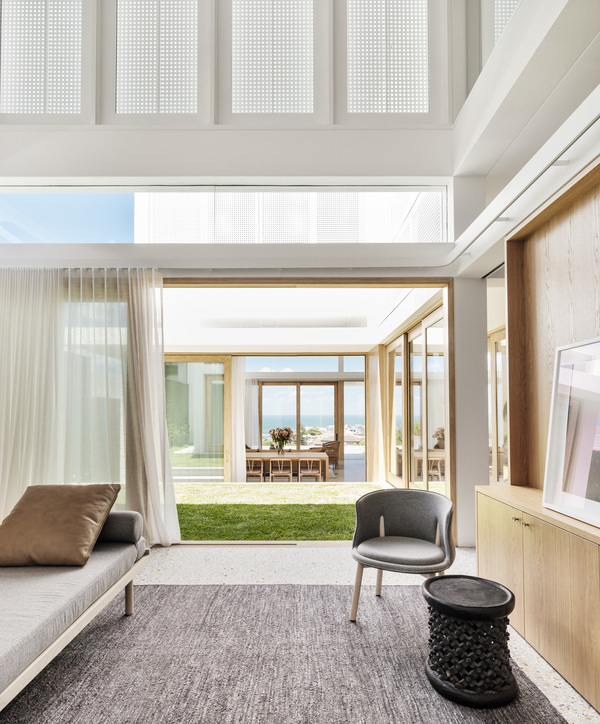 The emphasis on re-adjustment has informed the design in intriguing ways, with the house providing privacy and solitude along with the chance to connect. The gradual transition between the distinct worlds of work and home is supported through considered planning and spatial configurations and the careful use of light, material choices and detailing. 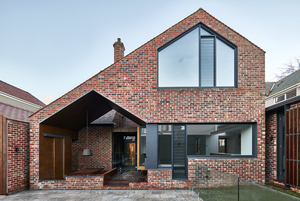 Entry is away from the street, and across a pond, which also assists with natural ventilation and passive cooling. The small kitchen/ dining space provides intimacy and encourages interaction with the more ‘public’ double height lounge. The circular library offers respite, while the adjacent circular stair thematises transition. Overlooking the lounge, the upstairs walkway is private yet connected. The layered relationship to the street is also carefully developed to provide both privacy and the opportunity to engage. Overall, this project has achieved a comforting, relaxed environment that provides a richness of experiences often not found in domestic spaces. 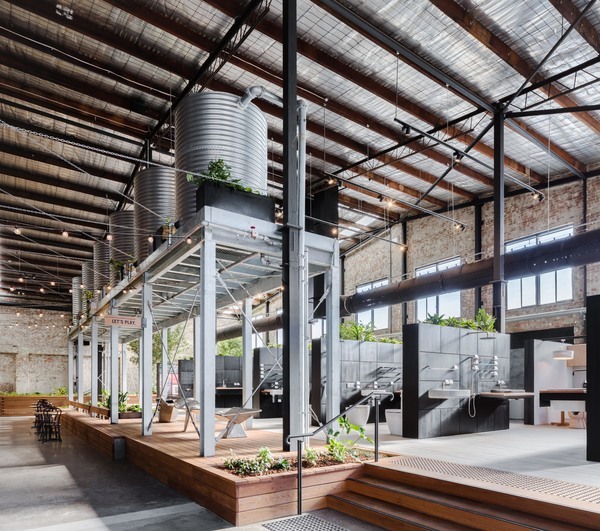 Commercial projects entered into the ArchiTeam Awards can include offices, restaurants and cafes, retail shops, architectural studios, as well as warehouses and industrial projects. Projects can be new builds, fit outs or temporary structures such as pop-up shops. Past winners of the commercial category have included members’ own work studio, restaurants, retail, product showroom, and a brewery canteen. The architectural design of a commercial project has the potential to set the business apart from its competitors, add to the business branding and provide a highly desirable working environment for staff and visitors alike. 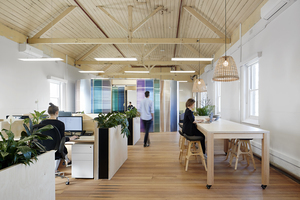 Caroma on Collins successfully reinforces and extends the brand identity of this established Australian company. The clearly contemporary design seeks to invoke Caroma’s historic and cultural context, while simultaneously showcasing the company’s products in a contemporary setting. The design language, materials and approach to resource consumption position Caroma as solid and reliable, yet current and stylish. The emphasis is on experience rather than ‘endless’ choice. The design strategy combines elements from different environments – warehouse, café, rural – to achieve an aesthetic quality that has the potential to provide a new image for a familiar brand. A diverse range of projects fit within the Community category, but they can all be defined as being available for public use. Community projects may also include projects that are more abstract but for the service of a community or the broader public. Examples of past ArchiTeam Community Award winners and commendations have been places of worship, a cubby within a child care centre, a school library and a temporary architectural installation in a public space. The Community category celebrates architecture that help shape neighbourhoods and support our communities. This understated yet striking building is derived from a single strong design idea – to arrange the building around the adjacent Barramundi pond. Plan, form and expression all flow from this decision. The simple and logical plan consistently relates to this core formal idea, reinforcing the purpose of the building and the visitor experience. This is a very local building – the shed and verandah forms and use of galvanised steel are both familiar and suitable to the environment. The design has been developed to carefully respond to the presence of the adjacent township and to address the logistical constraints inherent in the remote location on the edge of the Gulf of Carpentaria. The robust building is designed to survive in this intense environment, which includes high temperatures, humidity and rainfall, and frequent extreme weather events. As above, winners of this category have shown creativity and innovation, as well as working with the unique aspects of their site and budget. Past winners and commended entries have included extensions to existing houses, renovations to a studio apartment and an attic conversion. A project with a broader budget may not outweigh a smaller addition that has excelled against the odds of budget or site constraints. 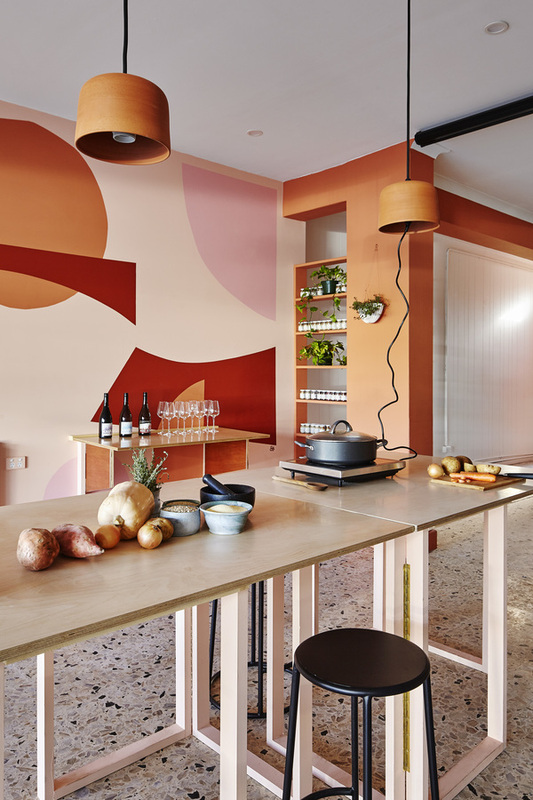 This delightful project engages inventively with the constraints and limitations of a small and very ordinary 1970s apartment. The project sought to ‘fit a big house into a small apartment’ and to accommodate living and home office within the same space. The result is an exemplary alteration that prioritises function and comfort, and demonstrates how architectural care and consideration can improve day-to-day living. 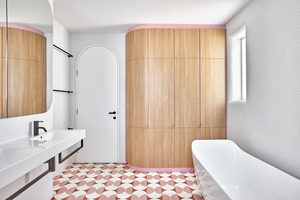 Clever design strategies provide spatial and functional flexibility. Bespoke moving elements and fully integrated storage accommodate both domestic and work life. Borrowed light and reflective surfaces help create a sense of spaciousness, while material variations in the kitchen and bathroom extend the variety of spatial experience without separating the spaces. The small green wall in the bathroom is inspired in an apartment with no outdoor space. The entry was also carefully presented through drawings, photographs and video, which together capture the spirit and intent of the project. This economic and playful project is an excellent example of how the considered and deliberate use of budget can open a building up, bringing in light, wit and joy. Modest interventions are used to great effect. 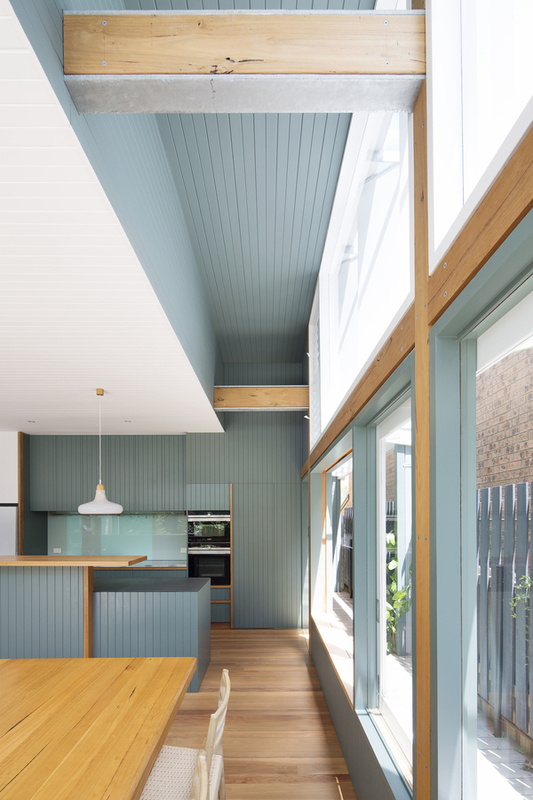 With a few simple moves a dreary former post office has been transformed into a relaxed and lively beach house. The strip of windows was enlarged and screened with bright green shutters. 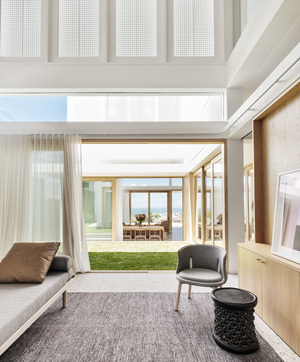 Amenity is provided through improved access to natural light and extended views, while the colour and sculptural form of the shutters brings a vibrant playfulness. They create a zone that decorates, filters and screens – opening views from within the house while creating privacy when viewed from the street. 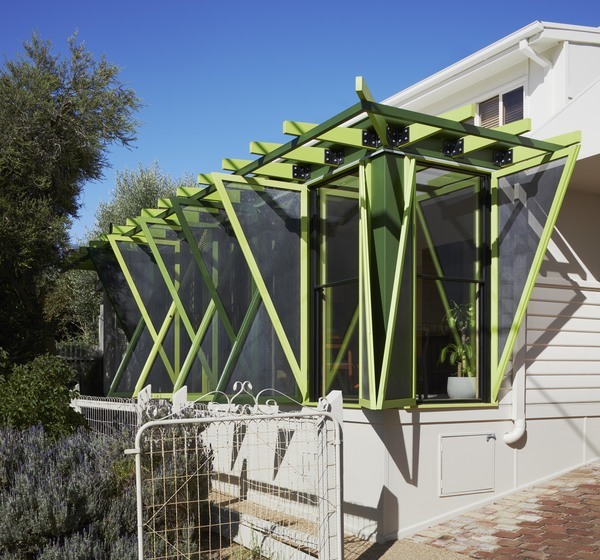 Green Shutter House demonstrates the civic potential of small project residential. The previously closed dour facade has become activated for the benefit of all. Connected to the street it provides social engagement beyond the title boundary. Entries in the Unbuilt category can reflect unrestrained conceptual ideas, not-yet-realised architectural projects, or designs in other mediums based on architectural principles. These projects can be drawn from an unrealised ‘real world’ client brief, or a purely hypothetical project exploring issues of interest to you. 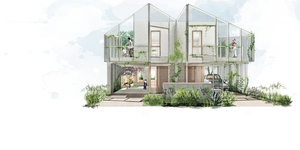 They can also be architectural competition entries, such as a single house, a mixed-use development, a public building or even master planning for a better community. Past winners in this category have included projects that have gone on to be built, projects that were never meant to be built, competition entries as well as flat pack furniture. The unbuilt category received 14 submissions encompassing a wide variety of topic, scale and substance. This new Award is to recognise contribution and innovation to architecture beyond the design and production of buildings. An entry is eligible to win this Award if it contributes to the industry discourse be it in a written form via a blog, publication, or organised tour or broadcast – either by a member, by a group that includes a member; or alternately a member may nominate a special initiative that is outside the ArchiTeam co-operative for special recognition. Additionally, a member can be awarded within this category if they have been outstanding in contributing to the Architecture industry through their actions in promoting and advocating. An architectural building may be awarded in this category only if it exemplifies a high contribution to the industry and promotes the profession of Architecture through provoking discussion or public interest. This new category attracted an excellent field of entries. In response, the jury has made four awards, which together demonstrate the diverse ways in which architects and organisations innovate and contribute to the profession and the community. All are great advocates for architecture, encourage important debate and promote the importance and value of architecture and design in the public domain. Visionary Design Development (VDD) advocates for accessibility in the built environment in three core areas – developing and piloting the Universal Mobility Index, advocacy through a broad range of committees and networks at local, regional and international scales, and mentoring through transdisciplinary research undertaken through the VDD Studio. This admirable and essential work expands our understanding of architecture and the roles that architects might play in advocating for others. It draws attention to aspects of the built environment that many architects often look past and encourages the built environment professions and the community to improve accessibility for all. Beyond this, VDD is developing tools and processes to assist others to take action. VDD’s advocacy extends well beyond the role of the disability consultant within a design team. VDD is creating their own mandate – to provide better community outcomes and accessibility for all. NAM is a grass root, volunteer organisation that assists young architects to make a place for themselves within Melbourne architecture. The dedicated work of a small group has fostered a collegiate, supportive environment for emerging and small practices. In addition to the camaraderie, the sustained program of NAM events provides an important venue in which young architects can share ideas and hone their skills as speakers, presenters and facilitators. This contribution to the culture of architecture is extending with the development of a program of podcasts, sessions within other event series, and collaborations with many other groups and organisations. Sydney Architecture Walks return architecture and urban design to the pedestrian and the street. 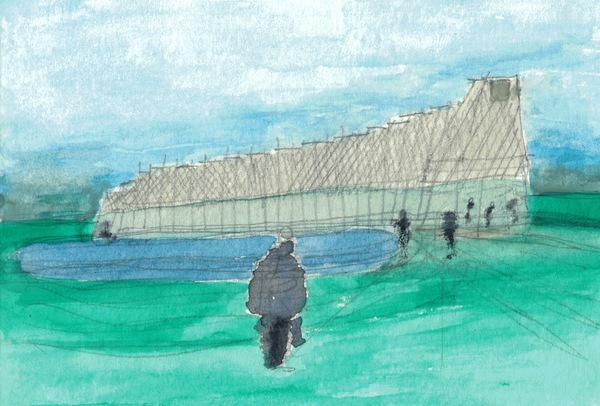 These walking and cycle tours engage and educate the interested public about architecture and the civic realm, encouraging debate, connection and engagement. 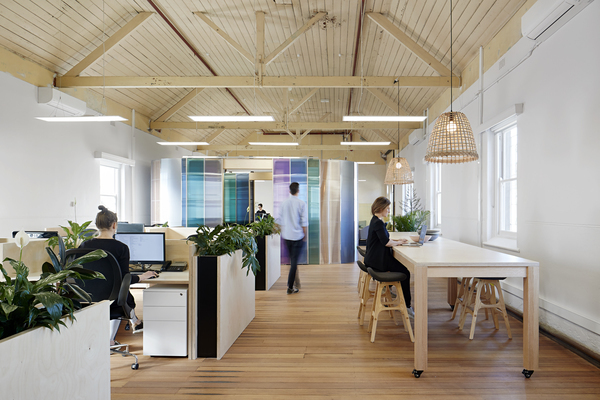 They provide an essential interface between a small group of enthusiastic and knowledgeable architects, attendees and Sydney itself. They bring the stories of architecture and the city alive for many, and reveal aspects and qualities that are often seen yet rarely noticed. These walks and tours draw the wider population into an experienced discourse, and provide people with new insights and new ways of looking at both every day and special urban environments. The result is an increasingly knowledgeable and engaged public. Our City Our Square is an extraordinary project that draws on the expertise of architects, heritage experts and other built environment professionals to advocate for quality public space – on the streets and in the media, in the spaces of government and of popular culture. Formed in opposition to the proposed Apple store in Federation Square, Our City Our Square asks the public to consider what is important to civic life and the city, and pushes these considerations to the forefront of debate. It draws attention to the murky processes through which fundamental decisions about Melbourne’s pre-eminent civic and urban space are being made. The vehicles for this advocacy and activism are diverse – protests, banners, t-shirt and posters are complemented with extensive media commentary and political lobbying. The speed with which this group of people with different focuses and expertise mobilised is impressive, as is their tenacity and ability to articulate the issues in clear and accessible ways to a broad constituency. All entries are eligible to win this Medal and an award must be given in this category. This medal is to be judged on the above criteria as well as showing sensitivity to sustainability principles. This can be quite general – from innovative re-use of an existing structure through to a more complex response to sustainability. This public campaign presents a sustainable approach to public space, broadly conceived across environment, social and economic spheres. At its core, the project aims for a more sustainable environment by mobilising our community to save a recent building that fundamentally works and provides a significant public asset. Quite simply, retaining a building eliminates the need to expend resources on a replacement, thus conserving the embodied energy, social capital, cultural value, creative investment and financial investment in Federation Square, completed only 16 years ago. This campaign asks architects to act as citizens as well as consultants. It reminds us that sustainability goes beyond design, changes to lifestyle and technological advances. In fighting for a long-term perspective on the city it acknowledges the social value of our built environment and considers sustainability on the level of the city. All entries under the size of under 80sqm and/or $150,000 are eligible to win this Medal and an award must be given in this category. This award is to be judged on the general criteria as well as showing innovation within the constraints of space and possibly budget by developing a complexity and inventiveness in small design. This is the epitome of small project architecture. 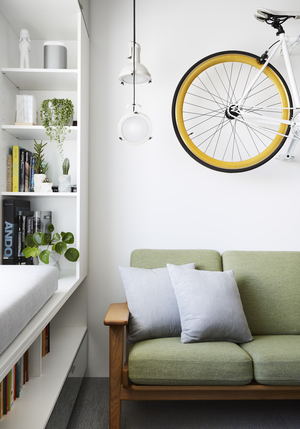 The renovation of existing small 70s apartment on a tight budget is a model of how thoughtful detailing and attention can bring surprising life back to neglected housing stock. The project works inventively within the constraints of the existing layout of services and structure, and shows great discipline in terms of materiality and joinery. The careful insertions and clever design have created a small yet flexible apartment with many possible spatial arrangements, all carefully tailored to the specific home and office needs of the architect occupier. All entries are eligible to win the ArchiTeam Medal and an award must be given in this category. The judges may award this to an entry of general excellence, or for something more specific, from any category. Type Street epitomizes many of the aims and ambitions of the ArchiTeam Awards. This delightful and surprising project packs a surprising amount of detail and architectural thought into a small space, and it does so on a tight budget. It shows how design excellence can re-invent existing constrained spaces, and reminds us that outstanding design is not dependent on big budgets or inspiring sites and contexts. Rather, it can be achieved through simple thoughtful and inventive manipulation of spaces and materials. This small project addresses a big issue, and the result is full of joy. In the context of challenges of housing affordability, Type Street provides an exciting and affordable prototype for mixed use apartment living. By reinvigorating a poorly planned existing apartment in an ordinary, ageing building, it helps to extend and re-define the value of this building type and demonstrates that architecture can help provide solutions to some of the housing issues facing our cities. The exhibition of all entries is open until Saturday 24 November.